Baseball is like one big reference book. The veterans that fill the landscape have knowledge born of their experience, you just have to ask. Luke Weaver in St. Louis has been asking, and that inquisitiveness has benefited his game in ways that aren’t obvious. Command, deception, new pitches — the veterans around him have given him many presents. Once people swing at Weaver’s four-seamer, they miss nearly a quarter of the time. That’s the 19th-best rate among starting pitchers who’ve thrown 200 four-seamers this year — this, despite a fastball that’s average in nearly every respect — horizontal movement, vertical movement, velocity and spin. Weaver is in the bottom 9% of release points this year, surrounded mostly by pitchers who either feature lower arm slots (Sean Manaea and Carlos Martinez) or who are four or five inches shorter (like Ryan Dull and Kirby Yates). And did Tim Leveque, a ten-year coaching veteran in the Cardinals organization and the current pitching coordinator, ever try to coach that out of him? The opposite, actually. Turns out his organization loved his drop-and-drive approach. “Over time I’ve gotten even lower, using more of my legs,” said Weaver. As you might surmise from his answers, Weaver’s ability to deceive batters with his delivery would be rendered moot if he didn’t complement it with command. He has to throw higher in the zone to take advantage of his low release point. Command is hugely important to Weaver, in two distinct ways. “[I] have to be able to command it early in the game to allow them to know I’m going to hit these spots [and they] have to swing,” said Weaver. Take a look at his fastball heat maps, and you’ll notice something that Joe Schwarz of The Intrepid STL observed when examining Weaver’s approach recently: Weaver is great at hitting the inside corner to righties and keeping the ball up. For Weaver, deception is nothing without command, and command is nothing without deception. 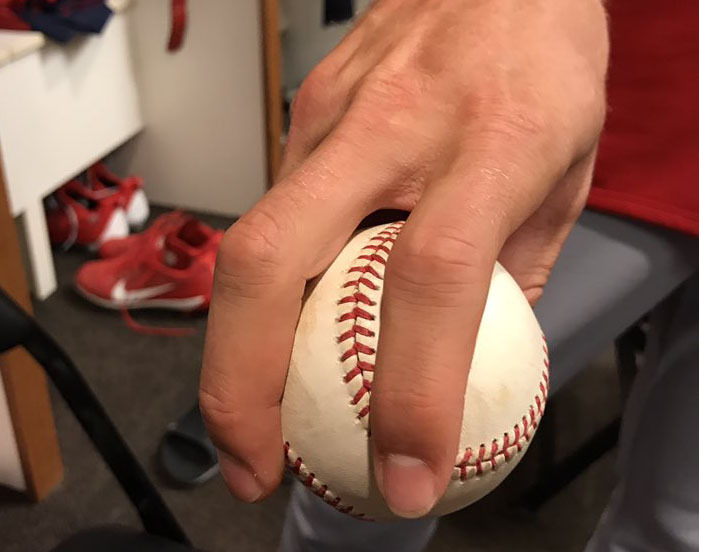 Neither is good without good pitches, so it might not surprise you at all that a new pitch — taught to Weaver by Lance Lynn, Mike Leake, and Seth Maness as a group — helps him both command the ball and deceive the batter. Here are all of his fastballs, mapped by velocity (color), movement (x,y), and spin (size of the mark). Looks like the blue 88-90 mph pitches with more drop are his one-seamers. He confirmed that he throws it often — to lefties on the outside and in ground-ball counts. 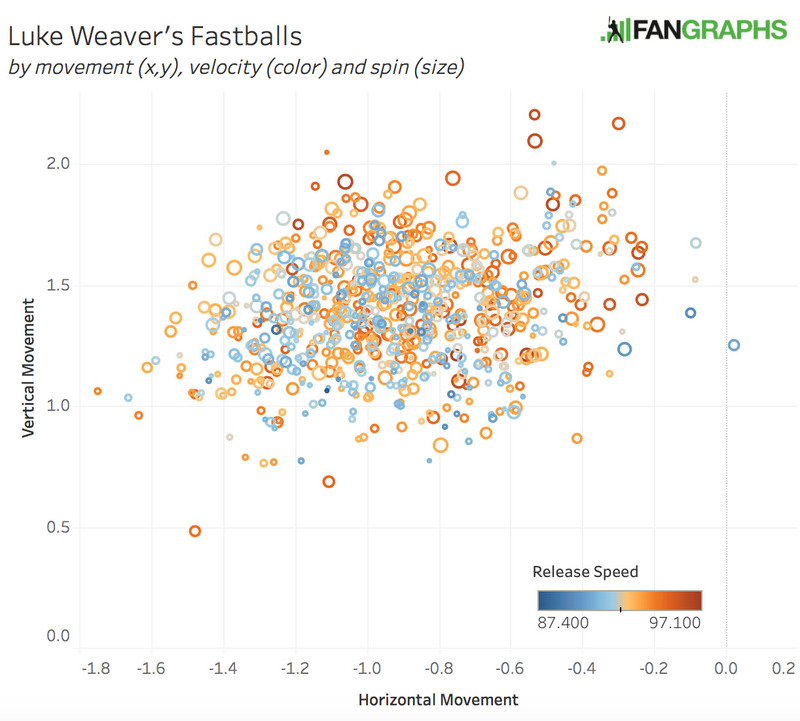 Having multiple fastballs is great, and Weaver has that good change — 36th in whiff rates (100 min) and second overall in ground-ball rate (78%) — but every additional pitch counts. Overall, the numbers are mixed. It’s in the top quartile when it comes to velocity, but in the bottom fifth on drop. When it’s good, it has more bite, and he’s working on the pitch with the help of someone with a famous curveball: Adam Wainwright. If that pitch evolves into what it can be, Weaver will have four legit weapons, each useful in its own way. 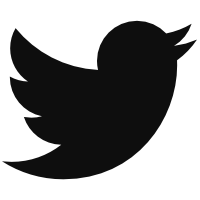 Together, they’ll also add deception, command, and surprise, which will help the whole thing gel well. And it’s all thanks to the people around him. We hoped you liked reading Luke Weaver Is Learning from the Game by Eno Sarris! You like Weaver over Castillo as a keeper for ’18? Still feel like Castillo is mostly a 2 pitch pitcher. Although both are elite. He feels a lot like Severino before he added a CH, albeit a meh change.